The top four community amenities shown below are based on feedback from our customers and industry research. Not surprisingly, all of these amenities focus on the lifestyle that individuals want. Staying active and healthy is an important part of the HHHunt lifestyle. That priority is why our communities include an abundance of active lifestyle amenities. 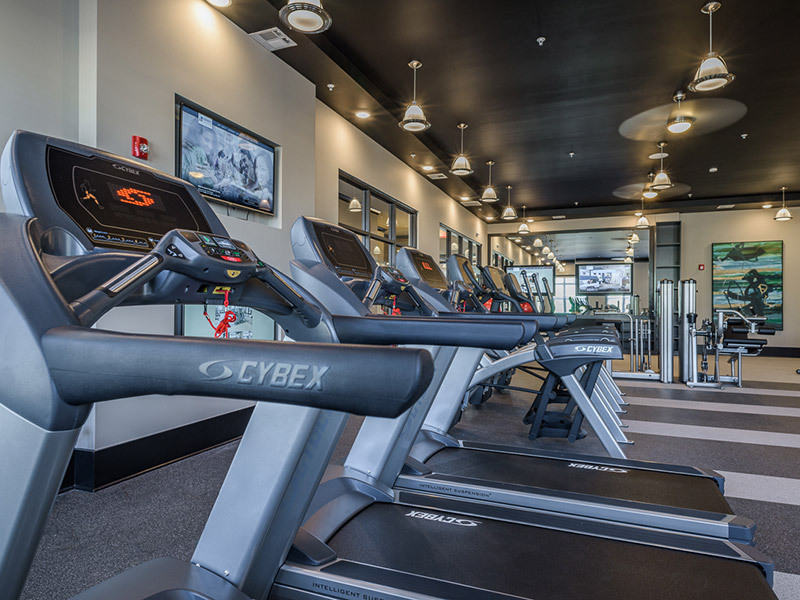 Our apartment communities, for example, boast cutting-edge fitness centers, such as Abberly Waterstone in Stafford, VA. These amenities have become very popular and highlight the demand for active living. Belonging to a community is about more than an apartment. What makes a community special are the people who call it home. Social spaces for neighbors to gather together and make lasting memories will be a top amenity trend this year. This trend gained momentum in recent years and will be even bigger in 2018. Despite the influx of virtual social spaces, people still crave face-to-face interaction. Community pools and clubhouses that are designed to encourage gatherings are popular features. We can’t forget about pets because they are truly members of our family. Pet amenities are increasingly requested in new communities. Our apartments in Stafford, VA includes a dog park for your four legged friends. Similar to the focus on active lifestyles, residents in our apartment communities are looking for green features, such as open outdoor spaces that can be used for enjoying a picnic or playing with friends. Walking trails and paths are very popular as well. These are the four big trends in community amenities that we’re seeing for 2018. As we noted above, the common theme among them is encouraging active and social lifestyles. We believe it’s how you live that matters and choosing the lifestyle that best suits you is important. Finding a community to call home that includes the amenities you desire most will make your home even more special. For more information on apartments that have all of these amenities and more contact Abberly Waterstone.